“As a young man, I came up musically in a small Midwestern scene, a town right on the Mississippi river. There was plenty of work so long as you could groove and play/write creative and compelling melodies, both of which became incredibly important to me. As I developed, though, I came to realize how my fear of what was unaccustomed had driven my life. It became increasingly important to me to break from my echo chamber, both musically and culturally, and challenge myself in a place like New York City. Such a drastic change terrified me, and that fear permeated into my life and my playing. Fear can push us into non-action, but it can also inspire. So one day I settled my commitments, packed my bags and got on a plane. I only had a few connections in the city, and no idea as to what might be in store, but with determination and a few serious legs up from then-strangers-now-friends, I was able to adapt. Confronting the unknown and steering straight into what I feared most was my catalyst for creation. In a moment where our culture seeks examples of courage and expressions of beauty, every contribution is valuable. When we feel that in any moment life can come apart at the seams, the challenge is to walk the line between order and chaos. Sometimes focus on the small things, the basement jam sessions, the quiet moments before dawn in an otherwise noisy world, our pets, our family, our friends far away, can give a composer purpose. It’s in that purpose that we can find courage and drive, and a place on the scene. 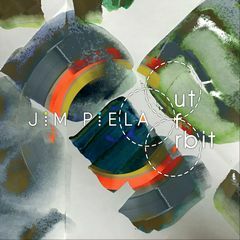 "Out of Orbit" is a reflection of that purpose and a bold statement by a salient new voice: Jim Piela has accepted Shorter’s dare, and has launched into orbit in the jazz sphere.